GE has announced a deal with China Machinery Engineering Corp (CMEC) to supply two 330 megawatt (MW) boilers to Engro Powergen Thar (Private) Limited, CMEC’s joint venture with Pakistani companies for the Thar Block II Power Plant. The project will support Pakistan’s move to use its ample coal reserves in the Thar Desert to meet power generation needs, spur economic development and bring energy security to the country. Pakistan relies heavily on imported crude oil, diesel and natural gas with limited energy coming from domestic fuels. The Thar II project will be the country’s first project fired with Pakistani Thar lignite from the Thar Coalfield. It will help reduce the pressure on foreign exchange reserves, support Pakistan’s energy independence and promote the country’s goal under Vision 2025 to increase the percentage of indigenous sources of power generation to over 50 percent, said a statement. 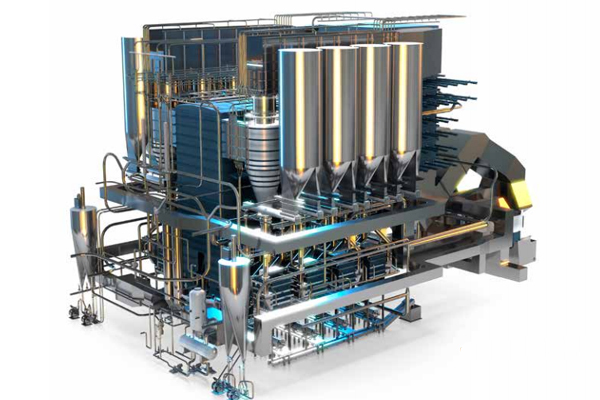 Two GE circulating fluidized bed (CFB) boilers will help deliver a total of 660 MW to Pakistan while burning the local high-moisture lignite reserves of the Thar field. The CFB boilers operate at a low combustion temperature to minimise the amount of nitrogen oxides released, providing coal-rich markets with the opportunity to reduce emissions and operating costs while increasing output, it said. GE is a technology leader in the CFB boiler field, with proven experience burning reliably high-moisture lignite. The boilers used in the project will be manufactured in Wuhan, China, home to GE’s largest boiler manufacturing facility. It has the capacity to produce large CFB boilers and other high-efficiency boilers in the 600- to 1,000-MW range. CMEC and three local companies are jointly developing the Thar Block II plant. The project represents growing cooperation along the China-Pakistan Economic Corridor (CPEC), a major development megaproject intending to connect Port Gwadar in southern Pakistan to Xinjiang, China’s northwestern autonomous region, through transportation and energy networks.